The southern French region of Provence conjures up immediate and familiar images, from the sun-kissed beautiful people of the Côte d’Azur, to the dreamy rural hinterland evoked by Peter Mayle in his bestselling autobiographical novel, A Year in Provence. Wine-wise, Provence stands for one thing in the eyes of many: rosé. Though the serious reds of Bandol have many followers, and some excellent white and red wines are made across the region, it is rosé, fuelled by its booming recent popularity, that now accounts for over 80% of the region’s production. Strung along the Mediterranean coast where it rubs shoulders with the high rent playgrounds of the French Riviera, Provence’s vineyards enjoy a warm, mild climate with abundant sunshine and normally adequate rainfall too. The cooling Mistral wine plays an important role, with winemakers able to exploit specific vineyard sites that are more or less sheltered from its effect. Soils vary widely, from the sandy soils close to the coast to pockets of clay, slate and limestone. A wide variety of grapes is grown too, both Atlantic varieties like Cabernet Sauvignon, Merlot and Semillon, Rhône varieties like Mourvèdre, Syrah, Grenache, Cinsault and Roussanne, and more distinctly local grape varieties like Tibouren for reds and Rolle (Vermentino) for whites. It would be easy to imagine that the extremely pale coloured rosés that are now synonymous with the region are embedded in Provençal winemaking history, but nothing could be further from the truth. Though always a significant producer of pink wines, the proportion of rosé produced in Provence has soared in the last couple of decades. 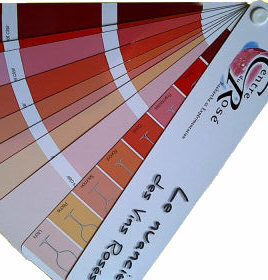 Much red wine production has switched to rosé, and new plantings have been specifically designated to make rosé. 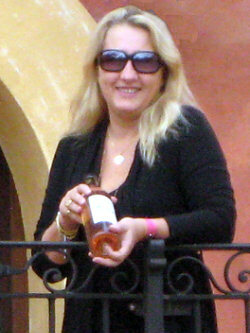 But the style of rosé has also changed. The wines were once much darker and often sweeter than the bone-dry, herb and floral-scented pale stuff of today’s most desirable wines. Legend has it that a producer near St Tropez accidentally produced an extremely pale and dry wine, but the beautiful people of the town loved it and so a trendy new style was born. Today, this style of savoury, food-friendly rosé, with its appetising dry, herby flavours is being replicated in other regions and countries. Producers are learning that rosé can be much more than a useful by-product of making a red wine (running off a little juice after a short maceration to sell as a rosé whilst concentrating the remaining red). And whilst not all Provence rosé is great wine, the region and the producers dedicated to the style are making some serious wines – some of them at prices that would once have been unthinkable for pinks. Domaines Ott is one of Provence’s most significant producers, and with bottles costing €20 and upwards, one that has helped to set a new benchmark for the region. 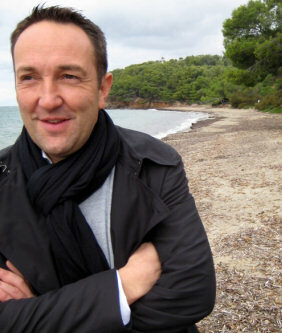 I met up with the charming and energetic Jean-François Ott, pictured here on the beach which literally laps the vineyards of their Clos Mireille estate in the Côtes de Provence. Having founded Domaines Ott in 1912, the Ott family still runs the three properties that make up business, though a majority stake in the company was bought by Champagne house Roederer in 2004. Jean-François shrugs: “Part of the problem was succession. There are 21 of us in my generation of Otts, so 60% of company was sold to Roederer.” That brought a global distribution network, and Jean-François insists it now allows the family to concentrate on production and not administration. The three properties – Clos Mireille, Château de Selle in the Côtes de Provence and Château Romassan in Bandol – produce distinctively different wines under the Domaines Ott label. The 45 hectares of vineyard at Clos Mireille are part of a huge, beach-front forest and parkland. Château de Selle adds another 64 hectares further inland on the rocky limestone hills, whilst Romassan is the largest estate with over 80 hectares in Bandol planted mostly to Mourvèdre. At the time of my autumn 2011 visit Clos Mireille’s vineyards were undergoing substantial changes. Planted mostly with Ugni Blanc and Semillon, since 2003 Rolle has been favoured over Ugni Blanc and some vineyards have been ripped out and are planted with various grass crops in a four year programme that will condition and prepare the soils for replanting. Currently 70% of the vineyard area is Semillon, with Grenache the major red variety. Mireille’s vineyards literally run to the sea, and a saltiness is said to be detectable in the wines. Grapes harvested in the morning are taken straight to press whilst the afternoon harvest is refrigerated overnight. Sorting tables are used and whole bunches are pressed. 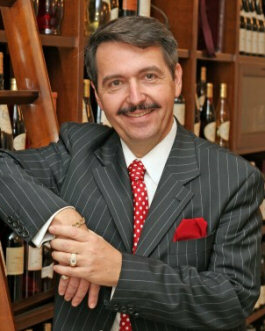 The stems are not removed as they “act like a drain, allowing juice to flow more easily without pressing too strongly,” according to Jean-François. Each variety and parcel is vinified separately. Maceration is very short: “We are happy with very light coloured rosé,” says Jean-François, “and Grenache in particular gives very little colour.” Slow fermentation occurs at low temperature, in barrels with battonage for their white wines and in steel tanks for rosé. It was a huge treat when visiting this gorgeous and peaceful hilltop Château in the AOC of Coteaux d’Aix en Provence to find that winemaker Philippe Bru (right) had prepared a vertical tasting of the estate’s red wines back to the 1985 vintage. Bought by the Sundström family from Scandinavia in 2007, the new owners are investing in various part of the vineyard and winery, but are essentially changing little about one of the most respected estate’s in Provence, whose model was the great wines of Bordeaux. Though a recent archaeological dig has proved that wines have been made on this site since the first century, the present day estate dates only from the late 1960s when Georges Brunet (previously owner of the classed growth Château La Lagune in the Médoc) established vineyards to make wines in the Bordeaux style, planting mostly Cabernet Sauvignon, with Syrah, Grenache and Merlot. The barrel maturation cellars and bottle ageing of reds was all set up to follow the Bordeaux ‘recipe’. One big change under the new owners is the decision to plant white varieties for the first time, with Semillon and Sauvignon Blanc to follow the Bordeaux pattern, plus Rolle and Marsanne. Philippe Bru came on board from a winery in Montpellier, though he brings much wider knowledge having worked for four years in Victoria and Tasmania, then eight years for the cooperative at Rasteau in the Rhône Valley. The estate is beautiful, the 1790 Bastide surrounded by north-facing vineyards, silent except for birdsong from its position on top of the hill at over 400 metres. The air is clear with cool days, cold nights, and conditions that mean they have just embarked on a move towards organic farming on their 60 hectares of vineyard planted on limestone and clay mixed with gravel. La Coste is the remarkable château featured in my recent article, Wine, Art and Architecture, where Irish owner Paddy McKillen is creating an extraordinary fusion of vineyard, gallery and exhibition space around his three passions here on this historic and large estate north of Aix en Provence. Winemaker and estate director Matthieu Cosse came from Cahors in 2006 and has been on a whirlwind of a rollercoaster ride ever since as the Château La Coste project took shape. The artistic side is covered fully in my earlier article, but the changes, improvements and investment in the winemaking has been equally impressive. Once a large producer of average wines for the local market, the 130 hectares of vineyard began conversion to organic farming when Matthieu arrived and were certified in 2009. They are now managed biodynamically and are part way towards certification. Matthieu explains that their limestone soil are the basis for a winemaking project entirely aimed at expressing the terroir of La Coste. The vineyards are in a natural amphitheatre. White wine accounts for 15% of production, with north-facing slopes dedicated to Sauvignon Blanc, whilst 35% of production is red wine and 50% rosé, based on Cabernet Sauvignon, Syrah and Grenache. 22 parcels are vinified separately in the stunning new winery, and Matthieu says he has already identified two specific parcels of clay soils that are making the estate’s ‘Grand vin’, launched last year: “Clay gives the most powerful wines,” he says. No expense has been spared with the meticulous new winery which is entirely gravity-fed, and equipped with vibrating sorting tables, a cold room for grape reception, small harvesting baskets and all the trappings needed to ensure high quality wines. Only natural yeasts are used for fermentation: “It’s all about the terroir,” says Matthieu. “Mr McKillen’s first thought was to improve the quality, which touched all areas of the business from vineyards to the new cellar, and onto the artistic centre.” That intention is certainly being realised in the wines I tasted. One of the most enjoyable visits of my few days in Provence was undoubtedly to the family estate of Château de Chausse in the Golfe de St Tropez, and its to indomitable matriarch, Roseline Schlecher (right). Arriving at the winery around lunchtime we found a note directing us to Madame Schlecher’s nearby house, where the garden was filled with the sounds of her grandchildren playing in the autumn sunshine, whilst Roseline and her daughter cleared their lunch from a little table by the pool. Roseline invited us into the warmth of her family home, filled with the evidence of a lifetime of family, work and varied interests. The Schlechers have been here since the early 1990s, once suspects as a bit of a family retreat for her and husband Yves, who worked in the stock exchange at the time. Initially with no intention of making wine, but the 50 hectare property sits on a prime clay and slate winegrowing slope, and so Roseline soon decided they should have vineyards, and 15 hectares of virgin land were cleared and planted mostly to Cabernet Sauvignon, Shiraz, Rolle and Viognier. The vineyards run to within two kilometres of the sea. One suspects Roseline is being a little disingenuous when she says that for the first 10 years she was winemaker because “We didn’t have money to pay for one.” In fact, from tastings that included bottles back to the 2000 vintage she was a very good winemaker, entirely self-taught by travelling and working in various vineyards around Europe. They have had a full time winemaker for the past five years, though Roseline is clearly still in absolute authority: “We use new barrels only for the red wine, but never for the entire cuvée – too much oak makes my flesh creep,” she announces with certainty. Her top white and rosé are made in tank, only from free-run juice, whilst the Viognier has “a little time in barrel to round it out.” Around 45% of production is rosé, 40% red and 15% white. 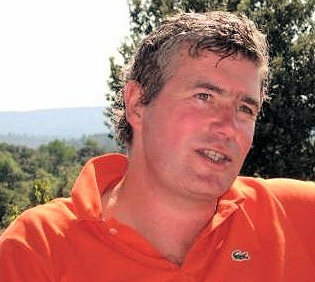 Dutch advertising executive Eric Kurver and his wife Adrienne bought the Domaine de la Grande Séouve in 2009, but over the past two years they have concentrated rather smartly on building a strong, modern brand with their rosé wine AIX, which now accounts for 90% of production from their substantial 73 hectare farm. When Eric was 16 he worked in a wine shop and got more and more into wine, organising tastings and wine trips for friends whilst building a media business. He sold the business ten years ago and decided to move to the south of France. But there was no plan to make wine – the couple just wanted a change of lifestyle. “After four or five years we tried to get back into the media business in Holland with magazine publication,” Eric tells me, but things had moved on in the Dutch media world and as they wanted to stay in the south of France, the attempt proved fruitless. “So we started a little wine business, selling and trading, and began to dream of owning a small domaine,” explains Adrienne. The Domaine they found is not so small. “It’s much bigger than we’d intended,” confides Adrienne, and is now almost totally focused on rosé. New presses, harvesting equipment and tanks are all dedicated to rosé production: “It’s all about rosé,” says Eric. 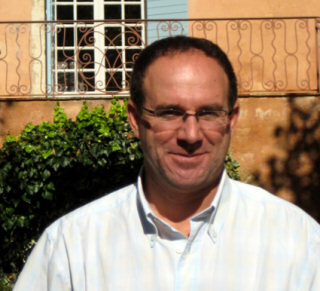 Eric smiles when he recalls his initially naive approach to thinking this would be like running any other business: “After we bought the domaine we assembled 30 of the top Provence rosés and listed which aspects we liked and which we didn’t, basically designing the wine we wanted to make,” he says. They then told their winemaker to produce a wine to that design brief, but as Eric says “Of course nature intervened and we discovered it was not so easy to ‘dial up’ a wine by numbers.” Having been “Only 25% happy,” with their first 2009 vintage, for 2010 they made changes to the picking time and blend. “Now things are moving in the right direction,” says Eric. Their AIX brand is strong, and with old vineyards they are delivering substance and not just style, which for a former advertising mogul, is surely the ultimate compliment. Lovely pale salmon pink. Delightful pomegranate and light citrus and redcurrant nose. The palate has a delicious freshness, a touch of herby and mineral intensity, and a lovely rolling mouth-feel cut by the lemony fresh acidity. 88/100. 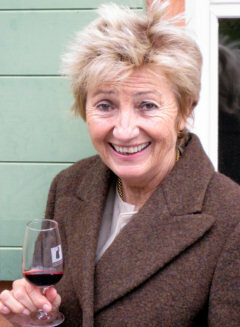 Maud Négrel of the Famille Négrel who own the Mas de Cadenet and the Famille Négrel brand, is part of the seventh generation to own and manage this important estate. Picture here (photo © José Nicolas) with her brother Mathieu and their father Guy, who is the estate’s viticulturist, Maud met up with me and explained that the family has been at Mas de Cadenet since 1813. Mas de Cadenet sits in the Provence appellation of Sainte Victoire, at the foot of the Montagne Sainte Victoire. Sainte Victoire has been an appellation in its own right since 2004, and Maud says “We have stricter rules and lower yields than the Côtes de Provence,” and that her father was one of the prime movers in having the separate appellation recognised. Their vineyards are clay over limestone, “with very deep roots,” Maud tells me. “This is terroir wine, we are not looking to make a wine to a template, but to reflect what the terroir gives us.” She says it is a hot area, well away from the sea, and until the mid 1980s there was no tradition for rosé production. Today the 45 hectares of Mas de Cadenet’s vines produce around 60% rosé, 30% red and 10% white wine. There is old vine material here, mostly Syrah, Grenache and Cinsault, with some vines 70 years old, and an average age of around 35 years. The estate is not organic, though no herbicides are used to control weeds, only mechanical means. Maison Fabre is an important player in Provence, owner of six domaines including two Crus Classés in the shape of Château de l’Aumérade and Château de la Clapière. The 1952 classification declared 21 crus classés, today these are two of only 18 in production. 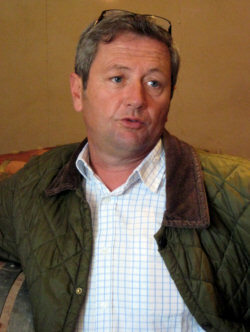 Henri Fabre (pictured) is director of the family company which has owned domaines in Provence since 1928, but as succeeding generations have bought more vineyards and estates, the operation has grown into the biggest vineyard ownership of Côtes de Provence, and 10th biggest vineyard owners in all of France with 550 hectares under vine. There is one large winemaking facility, but every estate and every parcel is vinified separately, and 90% of the overall production is rosé. The business is based at the Château de l’Aumérade (including the winery), though the vineyards span a whole range of soils and micro-climates across the Côtes de Provence. 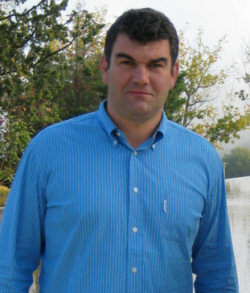 Export Manager Romain Roccoli told me that the company farmed some vineyards at Château la Clapière and other estates organically and biodynamically from the early to late 2000s, but it proved too expensive with yields reduced too low for economic viability – “customers just would not pay the price,” he says. Grenache, Cinsault, Carignan and Syrah are grown, as well as the white variety Rolle. Château de Berne is both an eighty hectare wine estate and a luxurious Relais & Châteaux hotel and Spa, sited not far from Lorgues in the Provençal countryside. I met up with winemaker and managing director Thomas de Lagarde, but was intrigued to learn that Château de Berne is owned by English businessman Mark Dixon. Mr Dixon is a successful and colourful character, CEO and owner of a substantial part of the Regus serviced office chain, making him a multi-millionaire, albeit one who started life selling hot-dogs from the back of a van. He visits the Château regularly, and can often be seen walking with his dogs in the vineyard. Dixon has been responsible for the reengineering of the estate into a luxury ‘destination’ hotel and restaurant complex, based on similar set-ups he had experienced in South Africa. The wine cellar has 20,000 visitors per year, and an active programme of activities – a cookery school, chocolate and truffle days and more – attract wine and food loving high rollers, who of course also drink and buy the estate’s wines. Winemaking at the estate has seen investment too. Eight hectares of Grenache have just been planted on a particularly rocky vineyard close to the gates to domaine destined for the Grande Cuvée, and there are now 110 hectares under vines, which is up from 60 hectares five years ago after buying a neighbouring property and the new plantings. Only natural yeasts are used to start fermentation whenever possible. The domaine practises sustainable farming, but Thomas tells me they cannot be organic as the ground is just too rocky to plough. Château de Berne’s vineyards lie at 300 metres and enjoy a relatively cool climate, so the harvest is three weeks later than on the coast. Around 70% of production is rosé and 25% red – whereas Thomas tells me 10 years ago 40% was red. The unusual, square-shaped bottle for the domaine’s wines is certainly distinctive. On my last day in the region we had lunch at the wonderful Jacques Chibois restaurant in the Bastide Saint Antoine in Grasse. Before lunch, a tasting of eight wines from top estates I had not managed to visit, including the superstar estate of Sacha Lichine, Château d’Esclans, which provided a nice overview of Provence Rosés different styles. 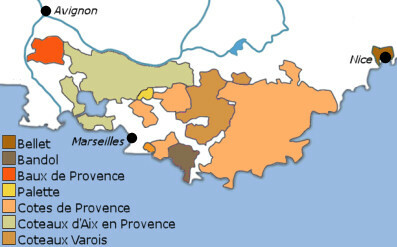 To give them their full title, the Maîtres Vignerons de la presqu’île de Saint-Tropez is an organisation that brings together several domaines to share expertise and financing of technical skills (monitoring of soils, vinification techniques, etc.) and business skills (marketing and sales). Founded in the 1960s there are seven members, all of whom are based around the gulf of St Tropez. A couple of big brands are made using grapes from all of the member domaines, but single estate wines are marketed by the Maîtres Vignerons too.